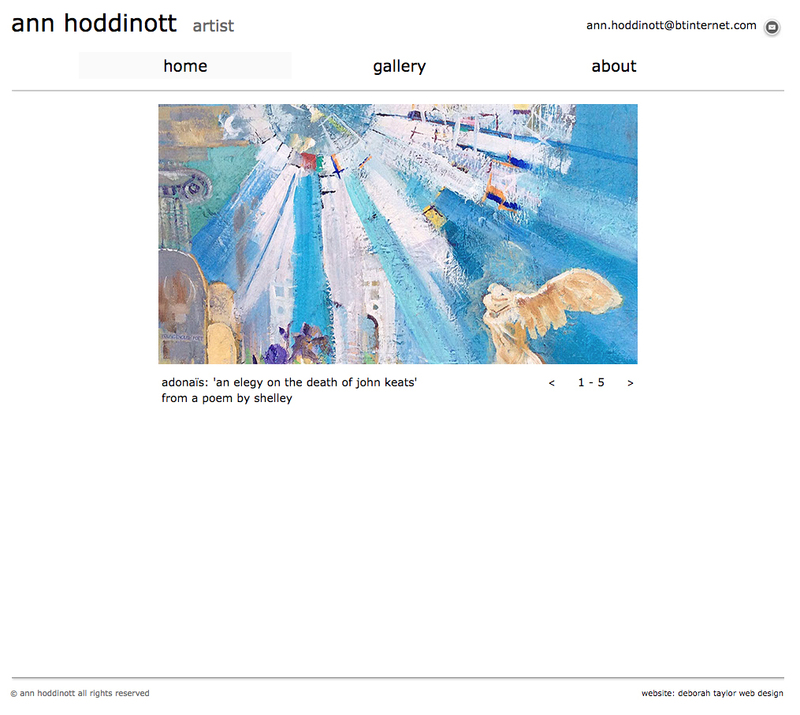 I am pleased to announce the launch of my latest website design project; www.annhoddinott.co.uk. Ann is an accomplished artist who exhibits widely and wanted a portfolio style website to promote her wonderful work. Clean, sophisticated and striking are a few words to describe the finished site. It has been an enjoyable experience working with Ann and I hope to design more websites for artists in the future. Loving this Deborah, very clean and fresh look, allows Ann’s work centre stage. Road trip week two; city stop, hilltops and gardens, gardens, gardens.